That all happened in 1955 just like that. What else happened you ask? 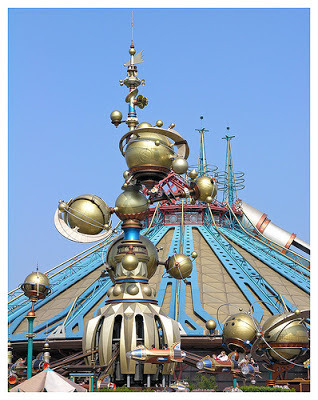 Well, Tomorrowland opened, partially at first. You see, it was the last "land" to be finished, and with that it opened incomplete. What we got was a glorious representation of what 1955 thought 1986 was going to look like. (Might have been a bit easier if 1955 jumped into Marty McFly's DMC12 and had a gander of the mess itself, but that is another story.) I'm not going to go through the opening day attractions, but I will try to convey my view of how it must have felt like. 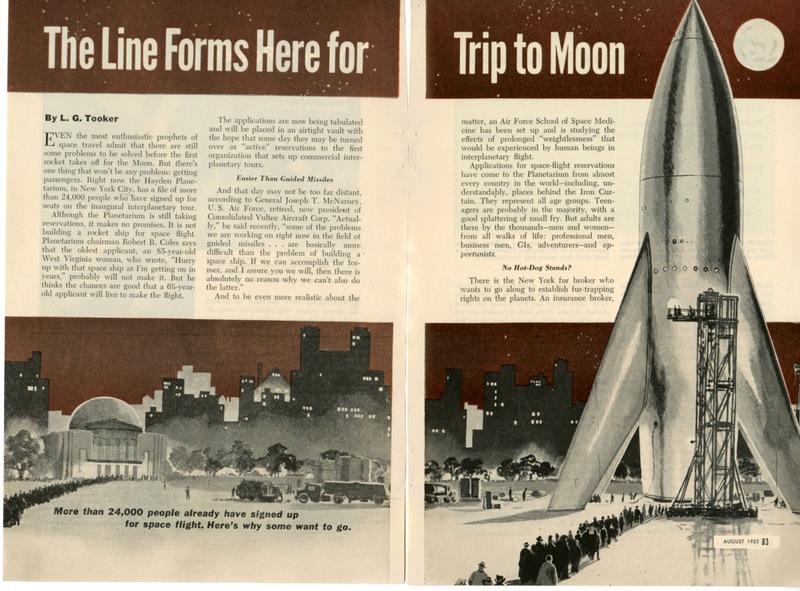 Go to a retro-fifty's diner and open a copy of an old Popular Science magazine. Did that work? I hope so. 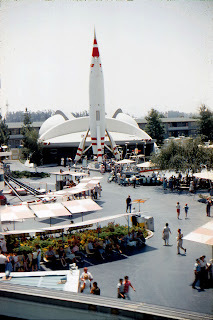 Anyway, Tomorrowland has gone through metamorphosis over the years and I am here to claim that it is a shadow of that view. Does it capture imagination? To that I ask, does Buzz Lightyear fight Zurg? Could it be much, much more? I believe so. I really enjoy the retro future view. 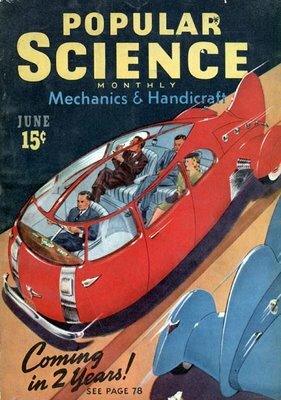 There are so many futuristic things that have yet to happen (flying cars, anyone?) and with that I would like a land where we can see how we saw that 58 years ago. I sort of look to Disneyland Paris's Discoveryland as inspiration for this thought. They have a beautiful view of how the future looked through the eyes of Jules Vern, H.G. Wells, and even Leonardo da Vinci. 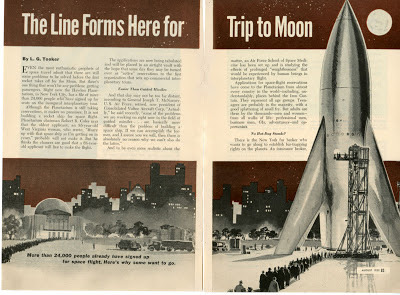 It's the thought and hope of this not very humble, awesome-as-hell writer that with the looming rehab of the entire land we will once again see what the citizens of 1955 thought the future may look like. A Steampunk future would be Hella cool, wouldn't it? However I do feel that is more of a European retro-future. 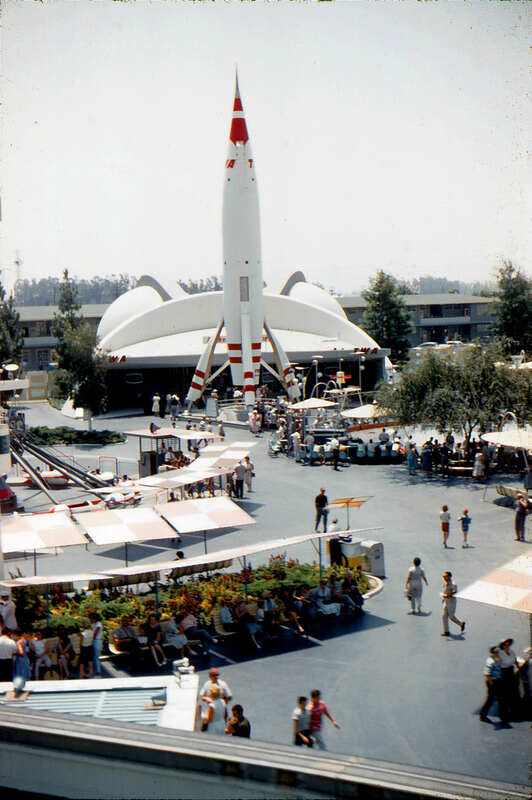 It could be the fact that I am used to the Disneyland future being sort of how the 1950's saw today. I don't know if there is a term for that. 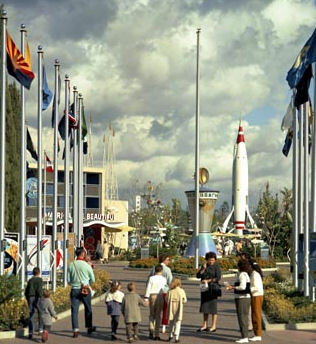 I'm thinking a mash up of the Jetsons, Planet 51(ish), and something else that is retro-futurey... Anyways, the Tomorrowland rehab: I think we will hit that when we record our podcast this week!